It’s about that time of year again— time to start decorating your Park City area home for the holidays! 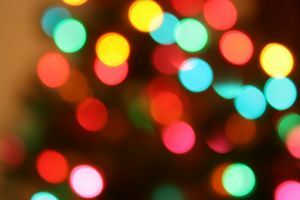 No matter what type of holiday display you choose, there’s a good chance lighting will be involved. Many Utah homeowners will string lights on their homes, their trees and even their bicycles if you’re planning to attend the Electric Parade downtown. Check your tree for freshness. The needles should be difficult to pull off without breaking and the bottom should be sticky with resin. Monitor the water in the strand and refill when necessary. Keep the tree away from heat sources in your Kamas, Oakley, Midway, Heber City, and Park City homes— meaning fireplaces, radiators and vents. If your Park City area home has an artificial tree, look for the words “fire resistant” on the label. When stringing lights either inside or outside, use only those that have been safety tested by a nationally-accredited lab. Throw away any damaged lights, checking for those that have bare wires or broken or cracked sockets. Be sure your outdoor lights are approved for outdoor use. Keep all burning candles in your sight and away from your tree. Always blow them out before leaving your Utah home or going to bed. Do not burn tree branches or wrapping paper in your fireplace. Decorating your Park City area home for the holidays is a fun tradition and can even boost the curb appeal of your home’s exterior, if done tastefully. These tips should ensure your home’s safety and help you to have a happier holiday season. Contact me for more information about the local real estate market— I’d be happy to chat about helping you buy a new home or sell your current property!